jewellery and watch brands for more than 25 years. Jewellery is a longstanding tradition for the Mozaffarian family. Established since 1883, with a store in Hamburg since 1991.
beauty and function are maintained. 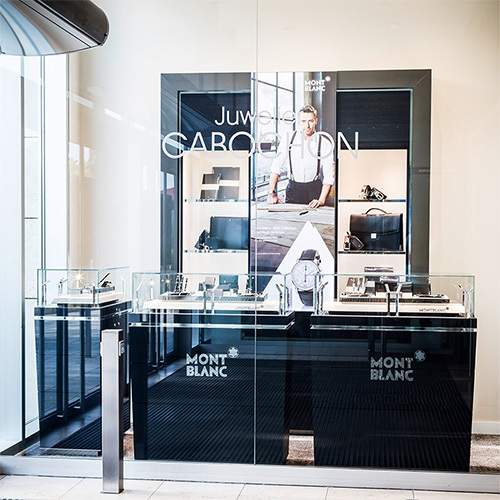 Juwelier CABOCHON offers exclusive jewellery and beautiful watches as well as fine accessories. We use our great expertise and eye for the unusual to select for our clients the most beautiful pieces by internationally renowned luxury brands, to discover exceptional materials for custom-made projects, and to have individual pieces made by the best goldsmiths. Our family’s jewellery tradition stretches back to the year 1883 and started anew in Hamburg in 1991. We are the fourth generation to inspire our customers and attract the world’s finest brands. For example, we are northern Germany’s exclusive dealer for the iconic jewellery of the first jeweller at the Place Vendôme: BOUCHERON. Fine jewellery enriches our lives. At Juwelier CABOCHON, you will find just the right piece of jewellery – whether it is made of the finest precious metals in various shades of gold, studded with fine diamonds, set as solitaires or casually combined with other pieces. Timepieces provide rhythm. Whether it’s a sporty chronometer or a lavishly embellished self-winding watch equipped with stainless steel, rubber, leather, or gold – at Juwelier CABOCHON, you will find the right watch. Fine leather and writing accessories for the perfect look and wonderful gifts for all occasions – at Juwelier CABOCHON, you will find beautiful pieces for your office that match your style.